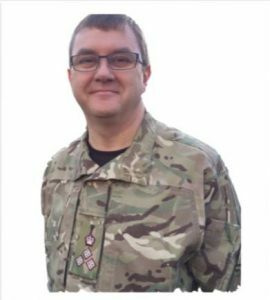 Brigadier Tim Hodgetts is an emergency physician with over 20 years of operational experience, leading the UK specialty of military emergency medicine from infancy to maturity and treating the victims of conflict in Northern Ireland, Kosovo, Iraq and Afghanistan. He has published and lectured extensively in the fields of pre-hospital emergency care, disaster medicine, and resuscitation of the critically injured, and has designed and propagated national and international curricula in these subjects. Brigadier Hodgetts’ academic career includes the positions of inaugural Defence Professor of Emergency Medicine at the Royal College of Emergency Medicine, Honorary Professor of Emergency Medicine at the University of Birmingham, Visiting Professor in the School of Health Sciences at City University London, and Penman Professor of Surgery at the University of Cape Town. In 1999 he was made Officer of the Order of St John for services to humanity in Kosovo; in 2006 he was the UK national ‘Hospital Doctor of the Year’; in 2009 he was made Commander of the British Empire for his contribution to combat casualty care; and in 2010 he received the Danish Defence Medal for Meritorious Service for his clinical leadership of the Danish-US-UK field hospital in Afghanistan. From 2004-2010 he served as the Queen’s Honorary Physician. From 2011-2013 he was the Medical Director with NATO’s Allied Rapid Reaction Corps. His current appointment is as Medical Director to the UK Defence Medical Services. Dr. Hani Hamdan is a Professor in the Department of Signal Processing and Electronic Systems of the Ecole Supérieure d’Electricité (SUPELEC) since 2008. He received his Engineering Diploma in Electricity and Electronics option Computer Science and Telecommunication in 2000 from the Faculté de Génie of the Université Libanaise in Beirut, Lebanon, his Masters in Industrial control in 2001 from the Faculté de Génie of the Université Libanaise in collaboration with the Université de Technologie de Compiègne (UTC), France, and earned his PhD in Systems and Information Technologies in 2005 from the UTC. Between March 2002 and August 2005, he worked as a Research Engineer in Computer Science at the pole ICM (Ingénierie, Contrôles non destructifs et Mesure) of CETIM (CEntre Technique des Industries Mécaniques) in Senlis, France. During this period, he developed Clustering and Classification methods for real-time monitoring by acoustic emission of pressure vessels. From 2004 to 2005, he was President-elect of the Mouvement Associatif Doctoral of the UTC. From 2005 to 2006, he was Researcher at CNRS (French National Center for Scientific Research), where he worked on the analysis and synthesis of speech. From 2006 to 2008, he was an Assistant Professor at the Université Paris-Nord (Paris 13), where he conducted research in classification, automatic control, and data analysis. He is author or co-author of more than 50 scientific papers. Peter Wellstead graduated with first class honours in Electrical Engineering in 1967, followed by an MSc and PhD in Engineering Science from Warwick University in 1970. After a Fellowship at CERN he joined the Control Systems Centre at the University of Manchester Institute of Science and Technology. In1992 he was awarded a personal chair as Professor of Control Engineering, as well as being Lucas Professor of Automotive Control Engineering and a Royal Society Industrial Fellow. His contributions to control systems theory and application have been recognised by a DSc from Warwick University (1988), the Honeywell Medal in (1995) and the Sir Harold Hartley Medal (1999). In 2003 he changed research area from engineering systems to living systems. This scientific change coincided with a move to Ireland where he was an E.T.S. Walton Fellow and then Science Foundation Ireland Research Professor of Systems Biology at the Hamilton Institute. His research Ireland has used engineering mathematics and dynamical analysis to help understand the causes of Parkinson’s disease. His most recent books, The Systems Biology of Parkinson’s Disease (Springer), and A New Look at Disease: Parkinson’s seen through the eyes of an engineer (CSP), reflect his belief that engineers can give a new impetus to disease research. Prof. Dr.-Ing. habil. Jürgen Rossmann is the Chair and Director since 2006. He is a full Professor at the Institute for Man-Machine-Interaction, RWTH Aachen University, Aachen and also Managing Director of VEROSIM GmbH, Dortmund. Since 2000 he is a member of the Advisory Board of the German Space Agency DLR and a member of the NRW Research Council “NRW exzellent und innovativ” by invitation of the Prime Minister of NRW, since 2005. He obtained his PhD diploma in 1992 in the Department of Electrical Engineering of the University of Dortmund, Germany with the thesis: “Collision Avoidance of Multi-Robot-Systems”. His research interests includes: projective virtual reality, multi-agent supervision and control, action planning, multi-sensor-integration, digital factory applications, virtual human, system simulation techniques, real-time visualization, optimization techniques, computer vision, man-machine interaction, tele-operation, medical applications. Prof. Al-Ahmad is the Electronic Engineering programme chair at Khalifa University of Science, Technology and Research, UAE. His research interests are in the areas of signal and image processing, remote sensing, multimedia and engineering education. He received his PhD from the University of Leeds, UK in 1984. He worked at Portsmouth University, UK, Leeds Metropolitan University, UK, Kuwaiti Faculty of Technological Studies and the University of Bradford, UK. He has supervised successfully 26 PhD and Master students in the UK and UAE. He has delivered short courses and seminars in Europe, Middle East and Korea. He has published over 90 papers in international conferences and journals and has a UK patent. He served as chairman and member of the technical program committees of many international conferences such as BCS IITC 2013, ICTIST 2011, DeSE 2011, CTIT 2011, IEEE GCC 2011, IEEE ISSPIT 2009, CTIT 2009, AICCS 2009, IEEE ICECS 2003-2008, WOSPA 2008, IEEE ICPSPC 2007, AICCS 2007, ISSPA 2007, MESM 2004, SIP 1997-2001, ISDPS 1996-1997 and GSDSP 1990. He is a senior member of the IEEE and a Fellow of the Institution of Engineering and Technology (FIET), Chartered Engineer (C.Eng), Member of BCS The Chartered Institute for IT (MBCS), Chartered IT Professional (CITP), Fellow of the British Royal Photographic Society (FRPS), Accredited Senior Imaging Scientist (ASIS). He was the secretary and founder member of the IEEE Kuwaiti section. He is the Vice Chairman of the IEEE UAE section and founder member of the IEEE UAE Computer, Signal Processing and Communication Chapters. He is also the Vice Chairman of the Middle East section of BCS. Prof. De-Shuang Huang is Chaired Professor in Department of Computer Science and Director of Machine Learning and Systems Biology Laboratory at Tongji University, China. He received his M.S. and Ph.D. in electronic engineering from National Defense University of Science and Technology and Xidian University, China, in 1989 and 1993, respectively. He was the Recipient of “Hundred Talents Program of Chinese Academy of Sciences” (2000). He was also visiting professors at the George Washington University, Washington DC, USA (2003), Queen’s University of Belfast, UK (2006) and Inha University, Korea (2007, 2008 & 2009). His main research interest includes neural networks, pattern recognition and bioinformatics. De-Shuang Huang is currently a Senior Member of the IEEE and the International Neural Network Society, Bioinformatics Technical Committee Member of IEEE CIS, the member of the International Neural Network Society (INNS), and associated editors of several main-stream international journals such as Neural Networks, etc. He is a member of Board of Governors of INNS. He founded the International Conference on Intelligent Computing (ICIC) in 2005. ICIC has since been successfully held annually with him serving as General or Steering Committee Chair in different cities of China and Korea. He has published over 300 papers in international journals, international conferences proceedings, and book chapters. Also, he published three monographs (in Chinese), one of which, entitled with “Systematic Theory of Neural Networks for Pattern Recognition”, won the Second-Class Prize of the 8th Excellent High Technology Books of China in 1997. 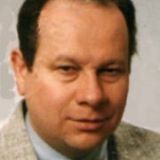 Jan Sliwa has received his MSc degree in Automation and Information Technology in 1977 from the Silesian Institute of Technology in Gliwice, Poland. In 1981 he moved to Switzerland where he developed software in languages ranging from Assembler to Java. He worked many years in the area of industrial control and then switched to Web-Database applications. In recent years his activity field was related to medicine (drug approval, medical registries). At several conferences he presented papers about the technical and ethical aspects of medical research and new trends in the medicine, like the Wireless Sensor Networks. He is currently affiliated to the Department of Engineering end Information Technology of the University of Applied Sciences of Berne (BFH-TI) in Biel, Switzerland. His non-IT speciality is languages and cultures: Germanic, Romanic, Slavic and East Asian. Prof. Dr.-Ing. habil. Jürgen Rossmann is the Chair and Director, Full Professor at the Institute for Man-Machine-Interaction, RWTH Aachen University, Aachen and also Managing Director of VEROSIM GmbH, Dortmund. Since 2000 he is a member of the Advisory Board of the German Space Agency DLR and a member of the NRW Research Council “NRW exzellent und innovativ” by invitation of the Prime Minister of NRW, since 2005. He obtained his PhD diploma in 1992 in the Department of Electrical Engineering of the University of Dortmund, Germany with the thesis: “Collision Avoidance of Multi-Robot-Systems”. His research interests includes: projective virtual reality, multi-agent supervision and control, action planning, multi-sensor-integration, digital factory applications, virtual human, system simulation techniques, real-time visualization, optimization techniques, computer vision, man-machine interaction, tele-operation, medical applications. Doctor Roberta Fantoni is the director of the Technical Unit UTAPRAD “Development of Applications of Radiations” at ENEA the Italian National agency for new technologies, Energy and sustainable economic development, her role is to coordinate researches in the field of Development of Applications of Radiations, including processes and diagnostics based on lasers and particles (electrons, protons) beams for the Industry, Environment, Cultural Heritage and Bio-medicine, and Micro- Nanotechnology. Major activities concern applications of the spectroscopic techniques as on-line diagnostics during different process, from laser assisted chemical reactions to environmental analyses. A significant part of her recent scientific activities has been dedicated to the development of diagnostics for cultural heritage monitoring, both to assist restoration processed and to promote remote fruition. Results of her researches have been reported in 160 scientific publications (HI=24) on referred international journals, 24 books, and presented to more than 200 national and international conferences and workshops with several invited papers. She has one patent on laser scanners. Simeon Smid is the managing director of Luxcopter S.A. and has a position in technology transfer at the Tallinn University of Technology. He is a former manager at PricewaterhouseCoopers and Assystem, a 10,000 French based aerospace engineering consultancy. Since 2010 he leads BreakingResearch in Innovation and business Consultancy from Luxembourg. He is in charge of executive management of the consultancy operations in technology transfer, economic development, business development, innovation management and technology consultancy. He is a frequent trainer in lean management, innovation management, R&D management and entrepreneurship. He heads the Research Programmes Division of ALTEC S.A., which he founded in 1996 (an independent division of Unisoft S.A.). His previous position was at the Institute of Computer Science, FORTH, Heraklio, Crete, where he worked in the Rehabilitation Tele-Informatics and Human-Computer Interaction Group upon several of European Commission’s RTD projects. He is the author of research papers, technical reports and project deliverables in the domains of Data/Information Management and Human-Computer Interaction. His research interests include quantitative decision making techniques and Information Society economics. He has successfully led many commercial and research projects, both at the European and the national level in the areas of E-Commerce, public sector and business enterprise re-organisation and information logistics, involving the linking of data/information repositories with knowledge management and business engineering models. Is General Manager at SC Wing Computer SRL since 2007 and Lecturer on Acquisition and Processing, Electrical and Electronic Measurements, Analog Signal Processing at the Politehnica University of Bucharest, since 2005. He obtained his PhD diploma in 2007 in bioengineering field, at the Politehnica University of Bucharest. He took part in many research projects as responsible partner or collaborator since 1999, and since 2007 he was project director in several PNCDI II projects. Dr Garibaldi has introduced the concept of non-stationary fuzzy sets, in which small changes (perturbations) are introduced in the membership functions associated with the linguistic terms of a fuzzy inference system. These small changes mean that each time a fuzzy inference system is run with the same data, a different result is obtained. It is straight-forward to extend this notion to create an ensemble fuzzy inference system featuring non-stationary fuzzy sets. In this talk (aimed at an audience not completely familiar with fuzzy methods), non-stationary fuzzy sets and reasoning will be explained in detail, and its use in several real-world scenarios of decision support in medical contexts will be described. Results will be presented to demonstrate the benefits of non-stationary fuzzy reasoning. We are delighted to announce that one of the main keynote speeches for DeSE ’09 Conference will be delivered by Professor Lotfi A. Zadeh, the father of Fuzzy Logic, via video link. Achievement of human level machine intelligence has long been one of the principal objectives of AI. Progress toward achievement of human level machine intelligence has been and continues to be very slow Why? Modern society is becoming increasingly infocentric. The Internet, Google and other vestiges of the information age are visible to all. But human level machine intelligence is not yet a reality. Why? Officially, AI was born in 1956. Initially, there were many unrealistic expectations. It was widely believed that achievement of human level machine intelligence was only a few years away. An article which appeared in the popular press was headlined “Electric Brain Capable of Translating Foreign Languages is Being Built.” Today, we have automatic translation software but nothing that comes close to the quality of human translation. It should be noted that, today, there are prominent members of the AI community who predict that human level machine intelligence will be achieved in the not distant future. “I’ve made the case that we will have both the hardware and the software to achieve human level artificial intelligence with the broad suppleness of human intelligence including our emotional intelligence by 2029.” (Kurzweil 2008). Humans have many remarkable capabilities. Among them there are two that stand out in importance. First, the capability to converse, reason and make rational decisions in an environment of imprecision, uncertainty, incompleteness of information and partiality of truth. And second, the capability to perform a wide variety of physical and mental tasks—such as driving a car in city traffic—without any measurements and any computations. Underlying these capabilities is the human brain’s capability to process and reason with perception-based information. It should be noted that a natural language is basically a system for describing perceptions. The world has become a place where socialising is often just as likely to occur online as it is in person. Social networking sites – Twitter, Bebo, Facebook, MySpace – are redefining the way we interact. These changes extend beyond social interactions, with networks becoming integrated into every aspect of our lives. The Future Internet, developing into the Internet of Things, will see all devices connected together to form an omnipresent net of communication and connectedness. A world in which people and devices can remain connected at all times and places, and yet where social interactions are becoming increasingly physically distant, presents new challenges for society. By extension it also presents deep and challenging questions about how we can deliver services in ways that unite people even though they are physically remote. For example, we have moved on from a time when students were expected to sit reading physical books in a library, disconnected from reality. Education can be delivered remotely, seamlessly and continuously. How then do we deliver such services to harness the benefits of new networking technologies while at the same time fulfilling expectations? In this talk, I will explore the technologies that make the interconnected world possible, and how we can harness them to improve the experiences of the individual, be they students, healthcare practitioners, businesspeople or others. We will consider not just the current technologies, but also those we can expect to see in the future. The development of eSystems will play a critical role in this development, bringing together technologies that involve social networking, peer-to-peer networking, virtual worlds and life memory systems to allow the sharing of experiences as well as facts. In addition to an overview of these exciting developments, I will talk about our own research work in these areas, consider how the connected world has impacted on society and explain how we can capitalise on it in the future. Short Biography Madjid Merabti is Professor of Networked Systems and Director of the School of Computing & Mathematical Sciences, at Liverpool John Moores University, UK. He is a graduate of Lancaster University in the UK. He has over 20 years experience in conducting research and teaching in the areas of Computer Networks (fixed and wireless), Mobile Computing, and Computer Network Security. Prof. Merabti is widely published in these areas and leads the Distributed Multimedia Systems and Security Research Group, which has a number of UK Government, EU, and industry supported research projects. He is principal investigator in a number of current projects in Digital Rights Management, Games Technology, Multimedia Networking, Mobile Networks Security and Privacy Architectures and Protocols, Secure Component Composition in Ubiquitous Personal Networks, Networked Appliances, Mobile and Ad-Hoc Computing Environments, and Sensor Networks. He is Associate Editor for IEEE Transactions on Multimedia, Area Editor for IEEE Communications Magazine series on Networked Appliances and Home Networking, Co-Editor in-Chief for the International Journal of Pervasive Computing and Communications (JPCC), Member of Editorial Boards for Springer Peer-to-Peer Networking and Applications Journal, Elsevier Journal on Computer Communications, and Wiley’s Communications and Security Journal. Madjid is Guest Editor for Springer Signal Processing special issue on “Advance in Peer-t-Peer Contents Management,” 2009. He was Guest Editor for the Special issue on “Research Developments in Consumer Communications and Networking”, Multimedia Tools and Applications: An International Journal, Kluwer, September 2005. Madjid Merabti serves on the steering committee for the IEEE Consumer Communications and Networking (CCNC) series of conferences. He is Technical Programme Chair for: IEEE ICC Symposium on Special Areas of Communications, Germany 2009, and IASTED – EuroIMSA 2009 European Conference on Internet and Multimedia Systems and Applications. 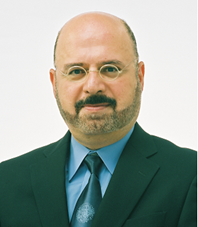 He is a member of a number of international conference programme committees on networking, security, networked appliances, digital rights management, and computer entertainment. It is widely accepted that IT is becoming a key element of any organisational infrastructure. Indeed, many like to think that the level of an organisations’ reliance on IT in the 21st century is similar to the reliance on electricity in the previous century where it is not expected for an organisation to function without electricity. However, there is ample evidence that Information Systems (IS)/IT have failed to bring about a competitive advantage to organisations in spite of the large investments over the past decade. Previous studies in the area of “IS/IT failure” have shown that 80 – 90% of IT investments did not meet their performance objectives. This dissolution in the strategic benefits of IS/IT is currently forcing many organisations not to invest in IT for any competitive advantage but for the reasons of bringing efficiency and effectiveness to business processes. This “Technology push” alone, even though to some extent is still dominating in many industries like construction and engineering, will not harness the full business potential of IS/IT and thus unable to lead to competitive advantage. It is the innovation in process improvement and management, along with IT as an enabler, that is the only mechanism to ensure sustainable competitive advantage. This requires an organisation to be in a state of readiness which will give it the capability to positively absorb IS/IT enabled innovation and business improvement into its work practices. The competencies that an organisation needs to develop in order to acquire the capability to strategically benefit from IS/IT, prior to IS/IT investment, falls under four main elements; people, process, work environment and IT infrastructure. The first two elements are the key to change and improvement while the other two elements are enablers without which the first two elements can not be sustained. The “acceptable” level of IS/IT, that can be successfully utilised in an organisation i.e. ensuring its business benefits are realised, therefore depends on assessing a range of critical issues needed to ensure a balance between the organisation’s readiness (mainly factors required to adapt to the proposed change) against the level and complexity of the proposed IT (which often hinders or limit success). This balance often includes many issues such as: capital expenditure, resource availability, organisation’s maturity and readiness, culture and vision, and available IS/IT skills. This paper highlights that organisations need to rethink their processes, structure and work environment in the light of the advances in IT in order to harness the value of technology in achieving sustainable competitive advantage. The need for “forward looking” management tools to measure the current capabilities of organisations in the relevant areas and to predict the required level of organisational change becomes critical. This is an area which is highly under-researched and needs focused efforts to develop tools, guidelines and methodologies in order to help organisations to effectively transform their work environment into dynamic ones where IT-based innovations underpin business improvement and sustainable competitive advantage. Forecasting the stock market is one of the most challenging applications. Even though the stock time series most often behaves in a random-walk-like manner, it frequently exhibits trends, overreactions, underreactions, deviations from fair value, and other aspects that can be exploited profitably. In this talk I will present a short introduction into the various issues involved in predicting stocks and designing trading systems. The starting point is to have a statistical model that predicts stock movements well. I will review some of the machine learning models for stock prediction. Prediction is only a small part of the whole problem. Many other issues have to be taken into account when building a successful system. I will review some of these issues, in particular I will consider: types of trading systems, inputs/indicators, fundamental/technical indicators, design considerations such as overfitting and data snooping, transactions costs, and performance measures. Amir Atiya: Received his B.S. degree in from Cairo University, Egypt, and the M.S. and Ph.D. degrees from Caltech, Pasadena, CA, all in electrical engineering. Dr. Atiya is currently a Professor at the Department of Computer Engineering, Cairo University. He recently held several visiting appointments, such as in Caltech and in Chonbuk National University, S. Korea. 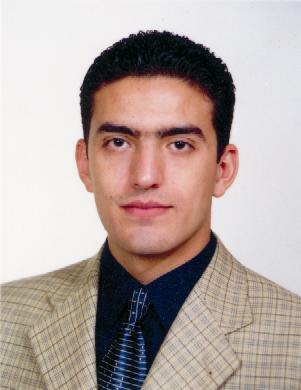 He is currently a Senior Scientist at Veros Systems, on a temporary leave from Cairo University. His research interests are in the areas of neural networks, machine learning, theory of forecasting, pattern recognition, computational finance, and Monte Carlo methods. He obtained several awards, such as the Kuwait Prize in 2005, the Young Investigator Award from the International Neural Network Society (INNS) in 1996 and the Egyptian State Award for Research in Science and Engineering in 1994. He was an associate editor for the IEEE Transactions on Neural Networks for 11 years (1998-2008), and was guest editor for several journal special issues. He has many publications, and some of his research was selected to be included in Matlab’s toolbox.